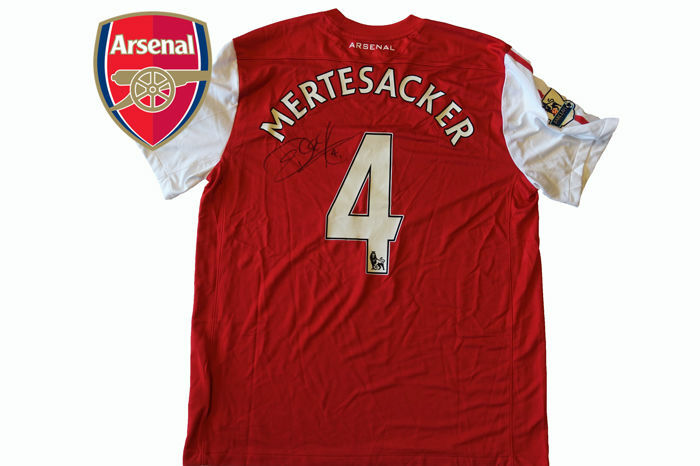 Per Mertesacker recently announced the end of his career with Arsenal, and was frenetically celebrated by the fans at the last home game. 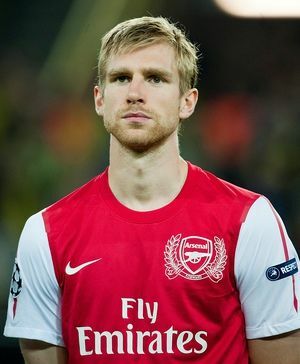 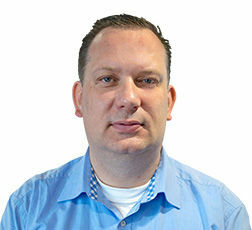 The fair but assertive central defender is one of the best football players in the world. 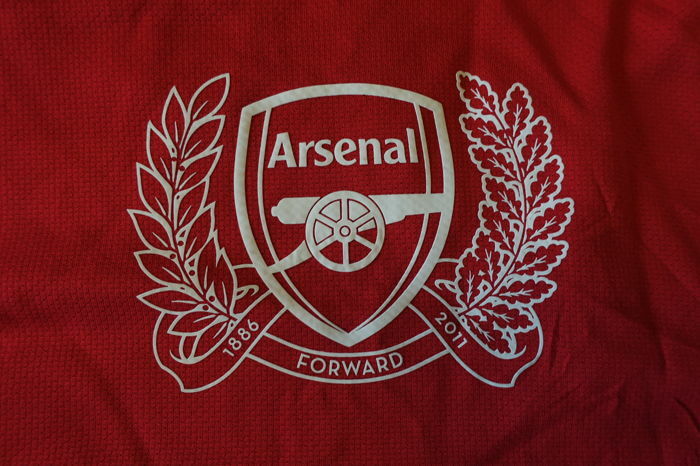 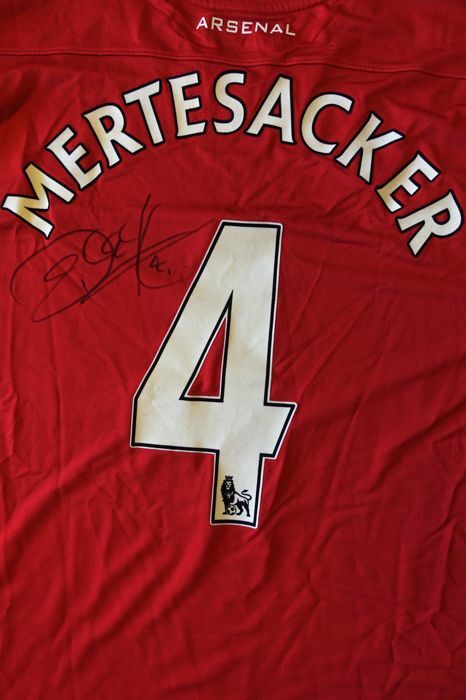 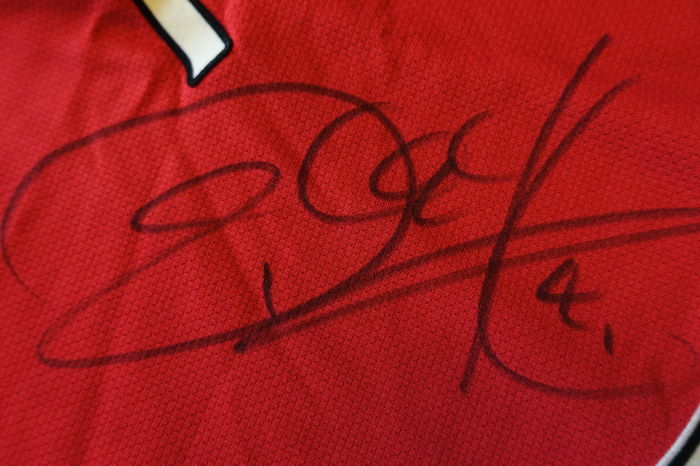 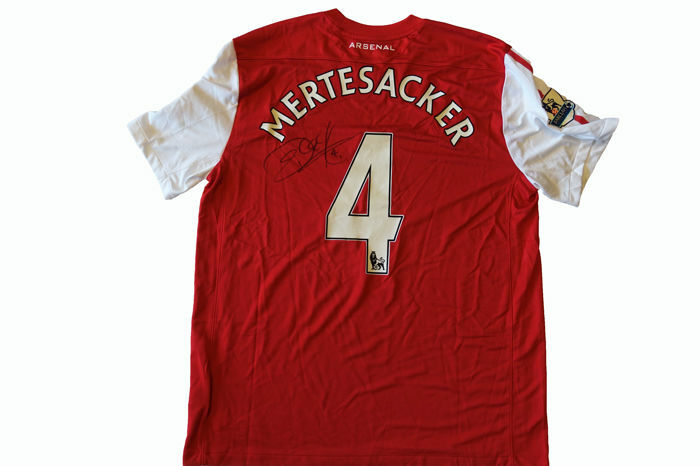 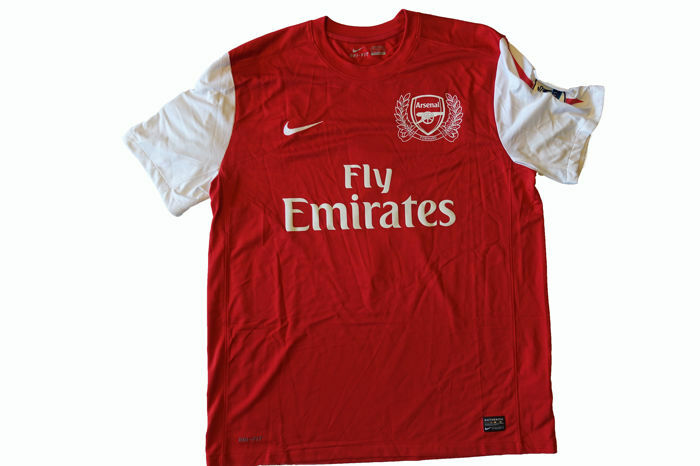 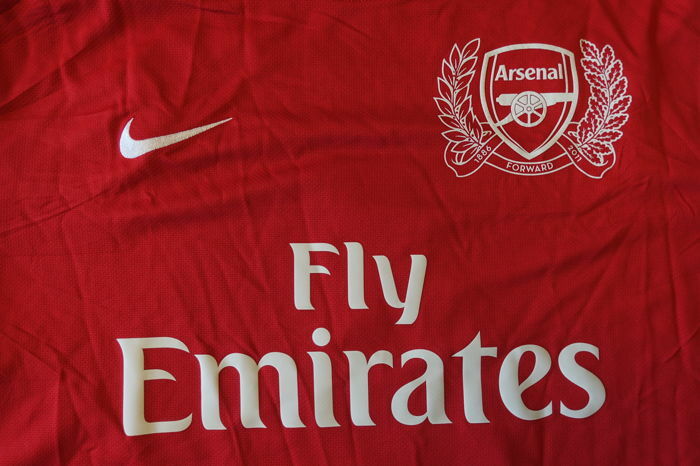 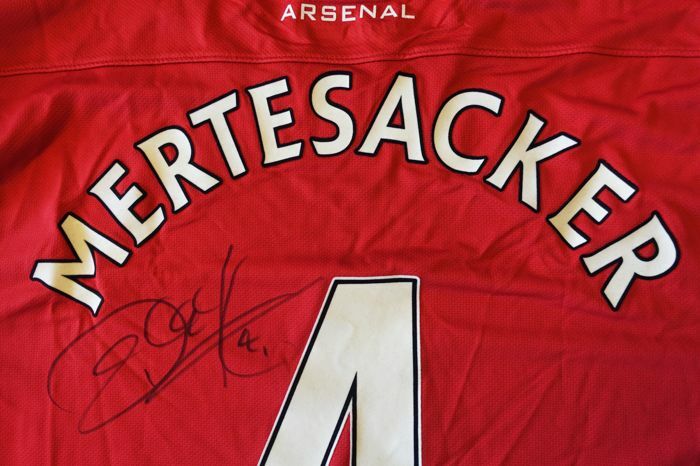 Per Mertesacker, World Cup 2014 champion and plain text friend, signed this jersey of his club FC Arsenal London for children with heart disease. 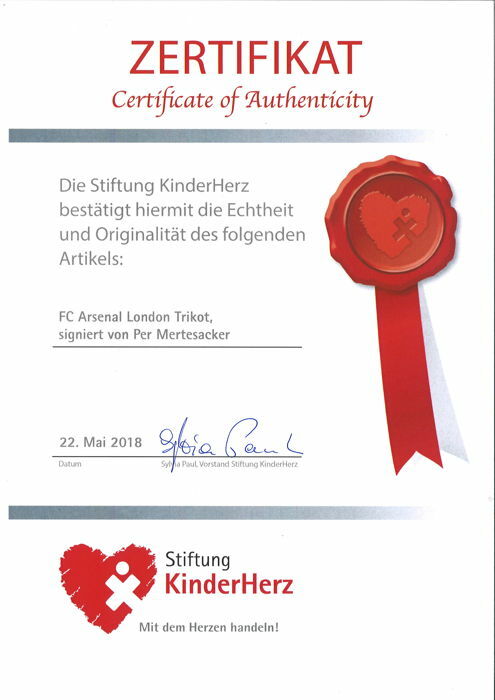 The proceeds of the auction go to the Stiftung KinderHerz, to projects for children with congenital heart disease.